Making amends is never easy, and sometimes it takes a lot of work to get things back to where they were. Our experts have put together an arrangement that shares in the spirit of second chances. 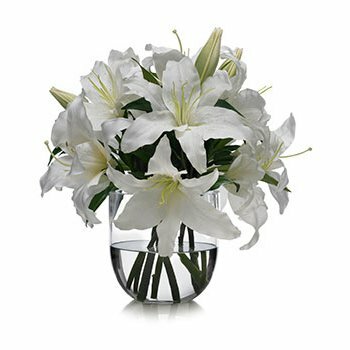 Your recipient will receive a charming Glass Vase full of 5 stem of classic white Lilies. Say I'm Sorry, send your best wishes, or win her heart all over again with Fresh Start.